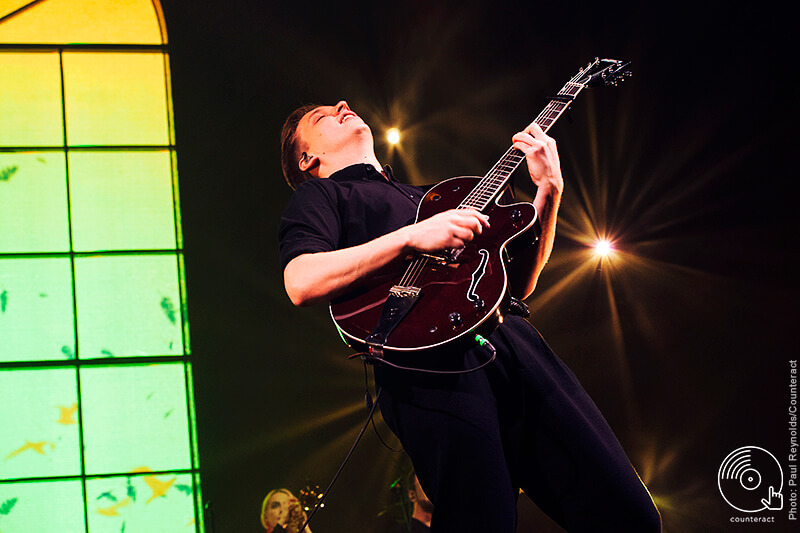 On 17th March, George Ezra took thousands of fans on his songwriting journey with a sold out gig at Resorts World Arena in Birmingham, interspersed with intimate anecdotes and with support from BBC’s Sound of 2018, Sigrid. Resorts World Arena was at full capacity this evening with more than 15,000 people crowded in for a glimpse of the man behind catchy radio hits ‘Budapest’ and ‘Shotgun’. Our support act has come all the way from Norway. The young singer-songwriter jumps on stage, overflowing with enthusiasm. Sigrid opens with ‘Sucker Punch’ – the hit single from her debut album of the same name. She’s got an amazing voice and fails to miss a note, hitting high notes to rival the queens of pop. 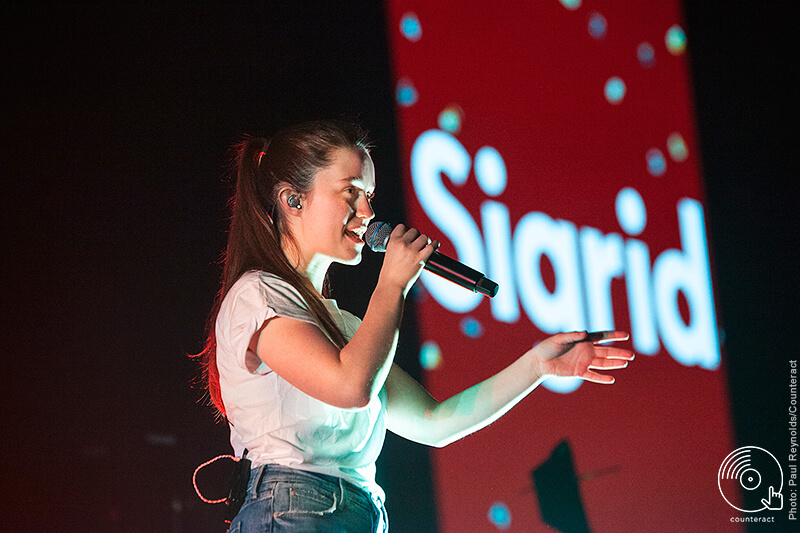 Sigrid is dressed remarkably simply, with a white t-shirt, mom jeans and black converse – the exact same outfit as worn in the music video for ‘Sucker Punch’. ‘Don’t Kill My Vibe’ is the song that we’ve all been waiting for. Released in early 2017, it catapulted her into the spotlight. The performance is summed up by the Brummie next to me me, who asks during the first song “Who is this?” and remarks during the last, “Wow, isn’t she lovely?”. As we’re waiting for George Ezra to take to the stage, the set up becomes apparent. It’s designed like a bedroom, with house plants, lampshades and windows. The lights dim, and Oasis ‘Don’t Look Back in Anger’ plays, to which every single person in the crowd sings along. Before a digital clock showing ‘6:59AM’ shows and an alarm goes off. We hear the familiar tones of Greg James announcing ‘Good morning, this is the Radio 1 Breakfast show’ and introducing George Ezra’s first song for the night ‘Don’t Matter Now’. 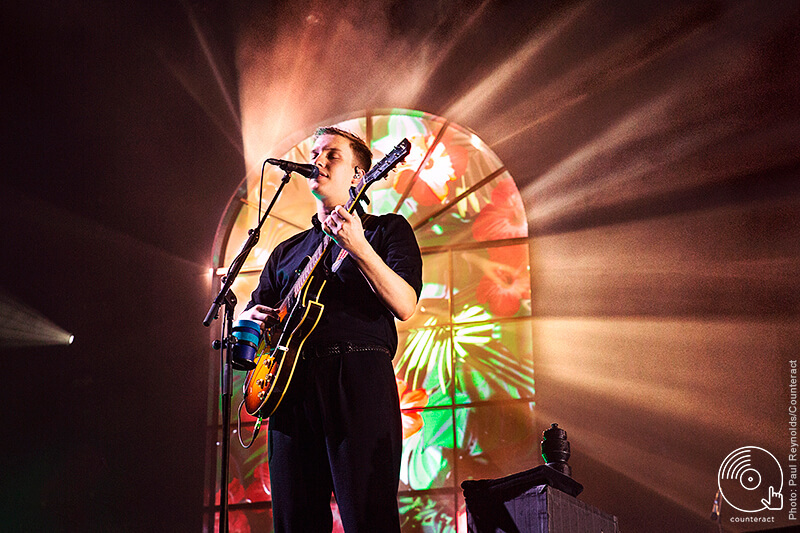 George Ezra’s voice seems even deeper live, and is as bassey and velvety as rumours describe. His speaking voice is the same, and he takes time to tell us about the story behind each song and how he came to write it. Ezra typically goes travelling, writes about his experiences while he’s away, and then comes back and turns them into songs. His latest album Staying at Tamara’s released last year, was quite literally inspired by a month staying with a lady called Tamara for a month in Barcelona, and all of her friends who were writers, artists and musicians. He tells us that ‘Pretty Shining People’ came to life while he would sit in a park looking down on the city watching hundreds of people come and go. 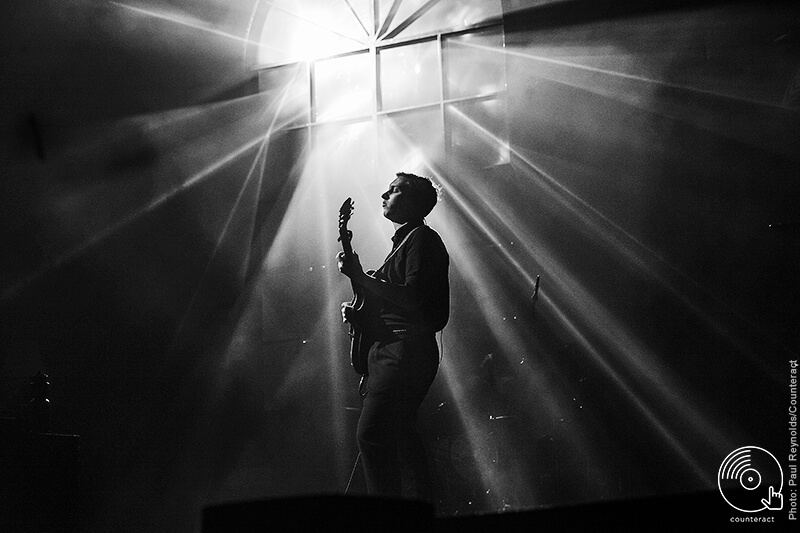 The catchy and upbeat ‘Paradise’ was written while he was ill on tour, dejectedly watching the rest of his band have the most amazing time. Ezra recorded himself singing the chorus “My love, my love” into his phone and forgot about it, before finding it months later and writing the song. And ironically, ‘Budapest’ was written after Ezra missed out on a visit to Budapest while interrailing as he was too hungover to go after a drunken night in Sweden watching Eurovision. The haunting, acapella intro to ‘Did You Hear the Rain?’ is played through an old vinyl, which crackles in the silence before George and the band begin to play and give the song its fuller sound. 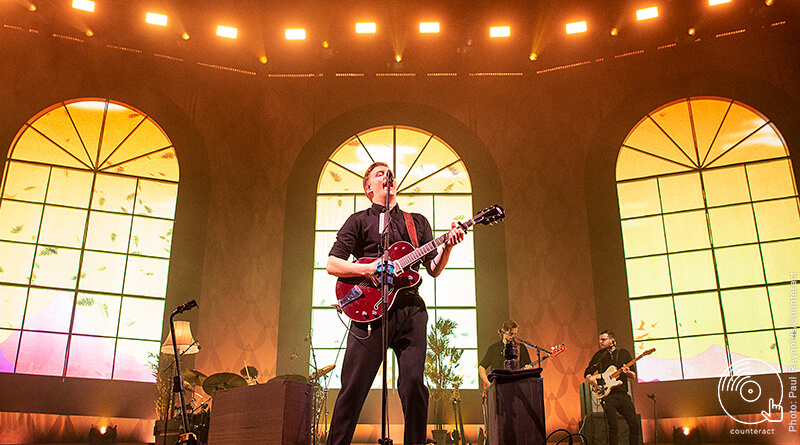 George Ezra is backed by a brass band who each perform incredible solos at the front of the stage. 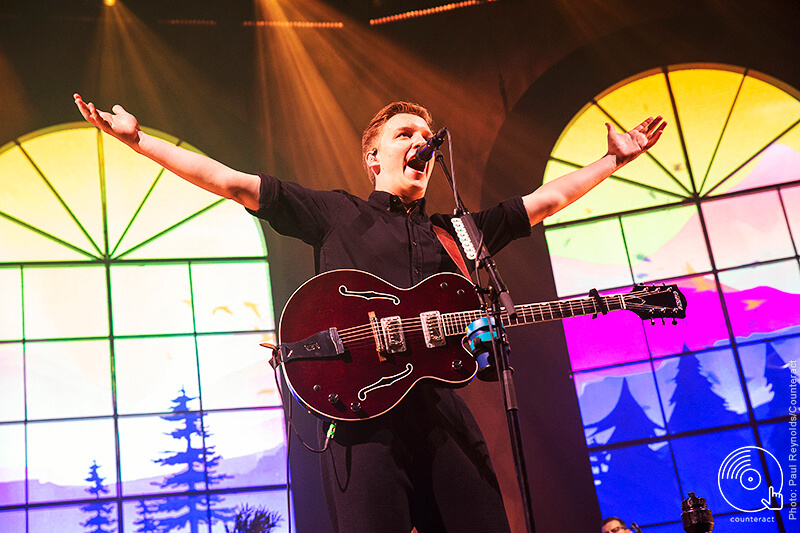 After a short encore, George Ezra returns to the stage to an eruptious applause and plays his final two songs ‘Cassy O’ and ‘Shotgun’. It feels as though we’ve not only got to know George Ezra himself better, but also the story behind all of his lyrics.